Meet the DHSCV officers for 2018! The Desert Horticultural Society of the Coachella Valley elected officers for the 2018 club year at the society’s Jan. 17 membership meeting held at UCR Palm Desert. Two are veterans of the horticultural society – Tracy Merrigan and Judi Greene. One – Quin Wright – is a longtime volunteer. The fourth member of the elected board – Melissa Bacall – is new to the organization. Their focus this year is to work with membership to make our programs bigger and better and to add new projects. For more information or to share ideas, please keep in touch at deserthorticulturalsociety.org or follow us on Facebook. Following, each elected officer introduces themselves. First of all, I am a lifelong gardener. I’ve been gardening since I was seven years old. A childhood in New England edging beds, weeding, dividing perennials and planting with a family of gardeners has given me lots of skills in the garden and the desire to continually learn new things. 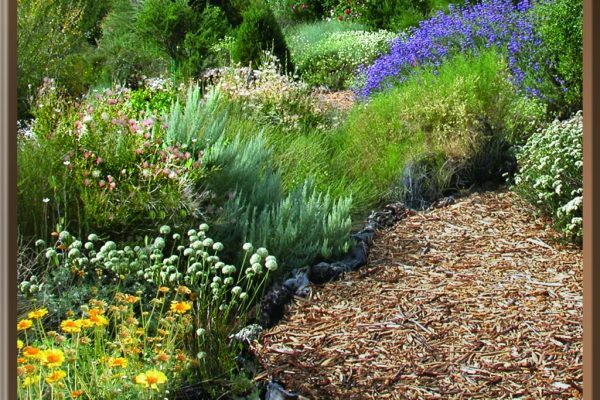 Over the years, living in Los Angeles, I began to learn about California natives, drought tolerant plants and water-saving methods and incorporated these plants and ideas into my Venice garden. While studying in the Sustainable Landscaping program at CalState Sonoma I discovered my new love — desert gardening — on a trip to Palm Springs. And we became second-homers here shortly thereafter. As I spent more time gardening in the desert, I also became involved in the Desert Horticultural Society over the last eight years as a member, volunteer, lecturer and subsequent board member and chair of the Desert Community Garden Day. I love to speak about gardening, on plants or on design concepts where art and garden meet. This past year I completed the UC Master Gardener program and am involved in community programs such as the Braille Institute, Agua Caliente School garden and Speakers Bureau. I am a local Realtor with HOM Sotheby’s International Realty. Prior to my work in real estate I was an art director in Los Angeles for over 15 years. 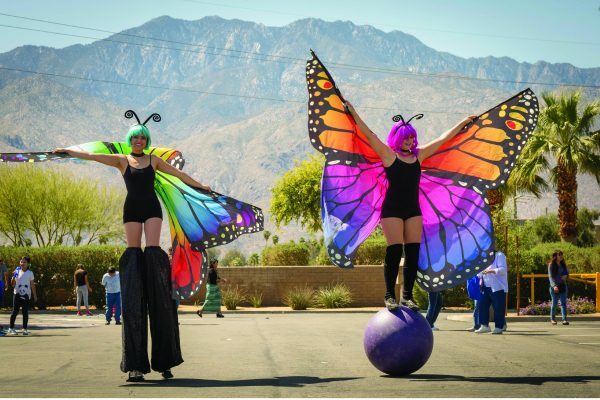 This past year I was appointed to the Palm Springs Public Arts Commission. This position will give me a unique opportunity to find ways to connect art with horticulture. I am excited about leading this organization forward with our board and membership. In addition to our popular programs, we are looking to create new programming to share with you and our community. I started a ‘victory’ garden during the Vietnam War and oil embargo when I dug up our family sand box and grew squash, cukes and pumpkins. Then when I was around 15 years old, I dug up 1/3 of our acre lot and planted a real garden. Now, decades later, I have my dream raised beds and garden year-round. For the last 7-plus years, I’ve been a member and chairperson of the Sandcliff HOA landscape committee. During the drought of 2014 we changed almost 2 acres of turf to desert friendly landscape. All of the funds to redo the landscape were provided by grants and buy-back programs. Paul Ortega designed our unique Chevron landscape. I’ve been HOA President, VP and Secretary and I’ve volunteered on several steering committees such as ForeSight Ski and DECUS (Digital Equipment Corp. Users Group). Since my retirement I have been a volunteer for numerous local charities, including most DHSCV events. Invasive species are one of my many interests. I’ve worked with Jennifer Prado and Mary Brent Wehrli on a bilingual fountain grass flyer and related educational events. I believe in the mission of the DHSCV and our grant program. I hold a B.S. in geology with a minor in hydrology. I also have extensive experience in computer science IT and GIS land use. I managed and worked with volunteers at The Living Desert for 22 years and retired in 2015. I’ve been DHSCV Treasurer since the inception of the organization. I love desert plants, birding, nature in general, traveling and reading. I especially enjoy educating desert residents and businesses on how to appreciate the inherent beauty and hardiness of native plants in their landscaping. I’m a Coachella Valley Master Gardener. I forgot all I knew about gardening when I moved to the desert 9 years ago, and have begun to seriously focus on Tree and Native and Solitary Pollinators. My love of nature, and especially the desert, is reflected in my garden. My passion is creating an ecosystem that supports animals, insects, plants and soil. I am grateful to be able to serve as the secretary for the Desert Horticulture Society of the Coachella Valley and look forward to learning more about our native plant world with all of you. Loved reading about your interests. I mentally added them to my go-to list if I have questions.